Jeffrey C. Arnzen was licensed as an attorney in 1981 and is the Managing Attorney in the Real Estate Title and Closing Group within the firm. Jeff's practice is concentrated in the areas of residential, commercial and industrial real estate (acquisition, development, construction, document review and drafting, financing, title insurance, leasing, and 1031 exchanges) as well as banking, real estate broker and licensee representation, probate and private legal matters. 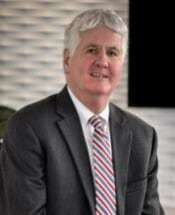 He has significant experience in real estate and banking litigation and commercial workouts. Jeff is a resident of Boone County. His son, Tyler, is a second-year law student at Northern Kentucky University’s Chase College of Law. Jeff is active in his church’s outreach program and the firm’s participation in Adopt a Class.